Since the release of 2013’s IRON MAN 3, rumors and innuendo have swirled that, perhaps, the film might not necessarily be the last of the standalone IRON MAN pictures. To be clear: we’ve known for some time that Robert Downey Jr’s Tony Stark would definitely return in next Summer’s AVENGERS: AGE OF ULTRON, and also for a third AVENGERS title beyond that. The bigger question was: were those the only places we’d see RDJ’s Stark? Or, might one or two more IM-specific installments find their way to the bigscreen as well? Discussing this matter with Variety, RDJ seems to squish such rumors rather roundly. 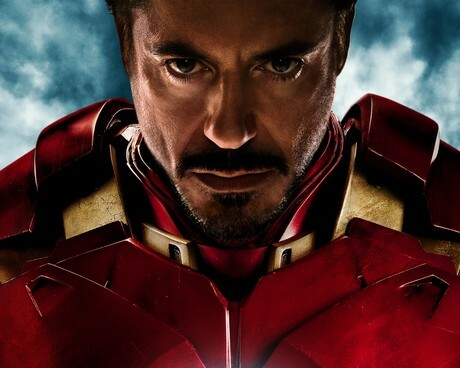 When asked if he would “let” somebody else play Tony Stark, Downey laughed off the idea. “I like that the idea is that it would be up to me, like I’m casting director for Marvel,” he said. …says Downey in Variety HERE. Of course, in this business and with so much money in play, it may be best to ‘never say never.’ But, for the moment…and perhaps for the long game…it’s sounding like the only Iron Man we’ll be seeing in movie theaters will be in those aforementioned AVENGERS sequels, the first of which releases May 1, 2015. But all of this does raise a fun and obvious question: if Tony Stark is ultimately recast in the Marvel movie continuity, who might be an interesting fit for the role?